Maintaining good oral hygiene is extremely important if you want to look after your teeth and gums. A healthy smile allows you to look and feel good as well as eat and speak properly. 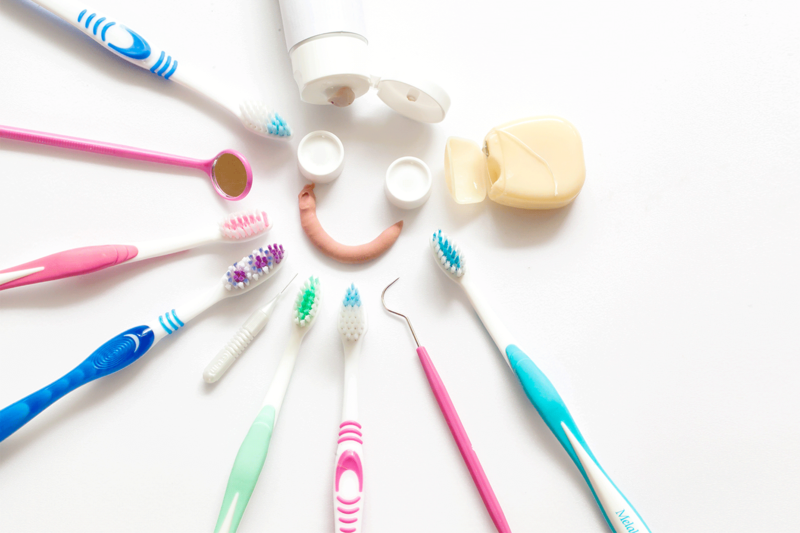 What are the basic steps to maintain good oral hygiene? Brush twice a day, using a soft bristled toothbrush and a toothpaste that contains fluoride. Floss at least once a day, using dental floss to clean the tight spaces between your teeth. Rinse with the appropriate type of mouthwash. Visit the dentist at least twice a year and get your teeth professionally cleaned. Avoid smoking and tobacco products. Are there any types of food that can help improve one’s oral hygiene? Fiber-rich fruits and vegetables: According to the American Dental Association, foods with fiber tend to cleanse your mouth. They also get saliva flowing. Next to good home dental care, this is your best natural defense against cavities and gum disease. About 20 minutes after you eat something containing sugars or starches, your saliva begins to reduce the effects of the acids and enzymes attacking your teeth. Because saliva contains traces of calcium and phosphate, it also restores minerals to areas of teeth that have lost them from the bacterial acids. Cheese, milk, yogurt and other dairy products: The calcium in cheese and the calcium and phosphates in milk as well as other dairy products, help put back minerals your teeth might have lost due to other foods. Green tea and black tea: Both contain polyphenols that interact with plaque bacteria. These substances either kill or hold back bacteria. This prevents them from growing or producing acid that attacks teeth. Depending on the type of water you use to brew your tea, a cup of tea can also be a source of fluoride. Are there any types of food that can cause oral hygiene issues? Sticky candy and sweets: If you eat sweets, go for those that clear out of your mouth quickly. So, thumbs down for lollipops, caramels and cough drops that contain refined sugar. Starchy foods that can get stuck in your mouth: For instance, soft breads and potato chips can get trapped between your teeth. Carbonated soft drinks: These types of drinks are the leading source of added sugar among kids and teens. Besides being loaded with sugar, most soft drinks contain phosphoric and citric acids that wear away tooth enamel. Are there any myths regarding oral hygiene? A popular myth is that, gum disease isn’t very common. Unfortunately, gum disease is all too common. A study by the Centers for Disease Control and Prevention (CDC) indicates that 47% of adults aged 30 and older have some form of gum disease. Also, as we age, we’re naturally more susceptible to infections, including those in the gums. 64% of adults aged 65 and older have either moderate or severe gum disease. If you have any further questions, don’t hesitate to get in touch with one of our general dentists or dental hygienists at Dr. Joy Dental Clinic. Thanks for sharing your instructive article about teeth cleaning. Teeth cleaning is critical for our oral well-being. It is a delicate piece of our body.